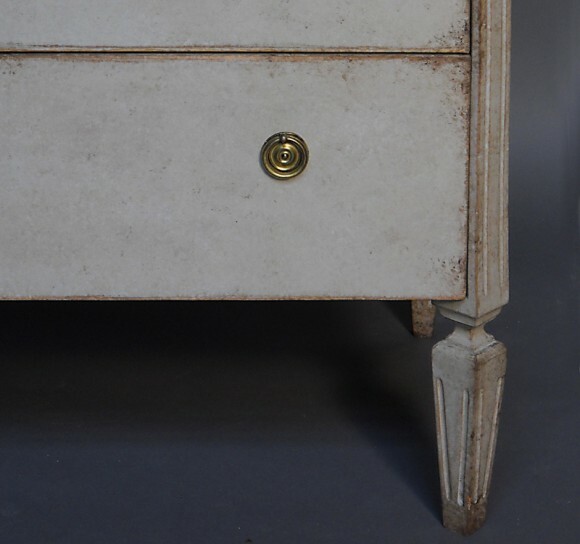 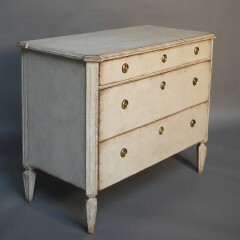 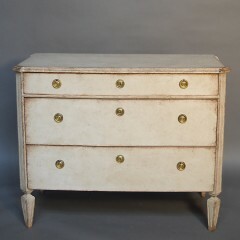 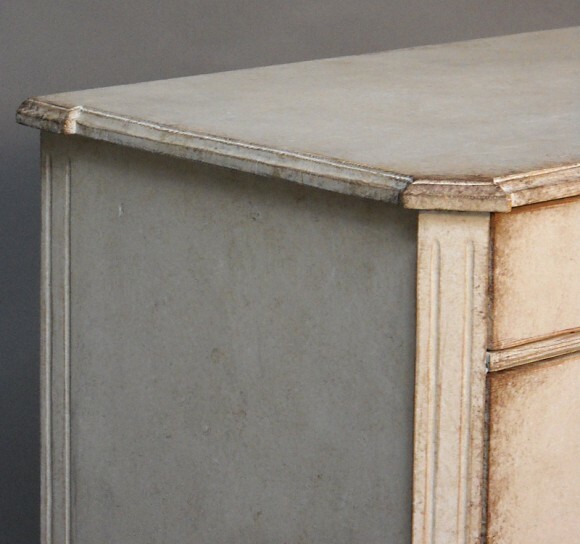 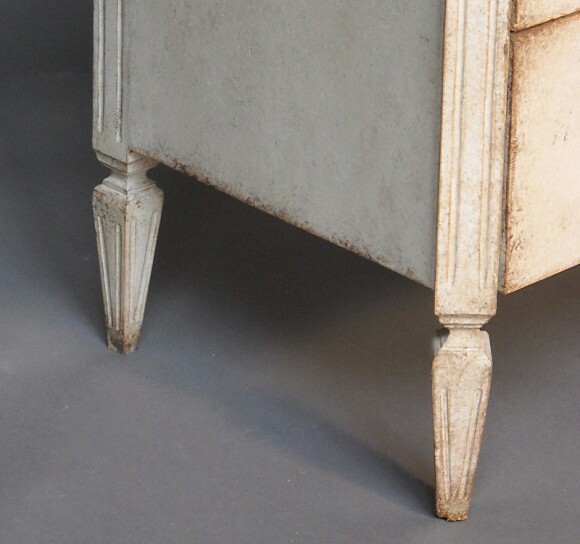 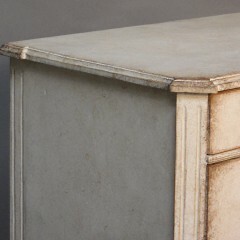 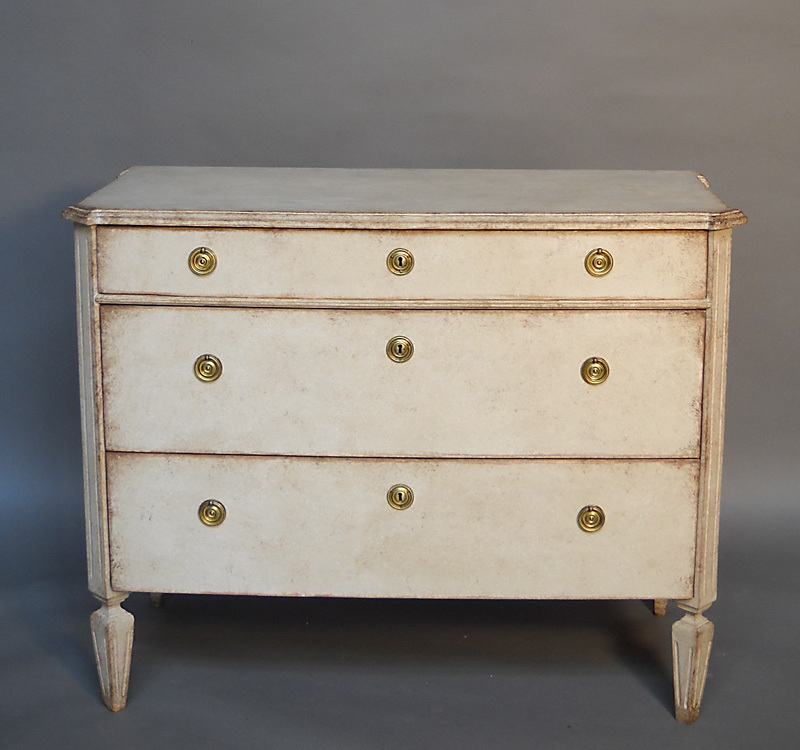 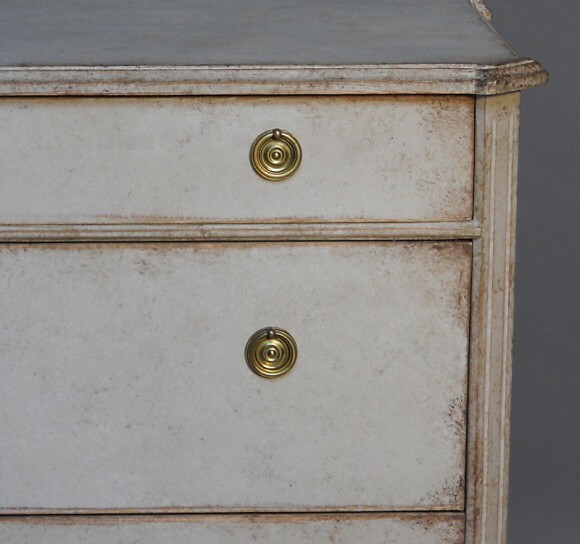 Chest of drawers in the Gustavian style, Sweden circa 1880. 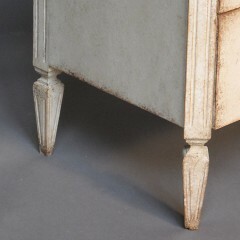 Shaped top, canted corners and tapering legs. 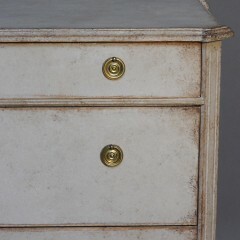 Brass hardware.